Tara's softball team has been challenged by the boys to put together a winning girls' hockey team. The bet? Whichever team finishes lower in its respective division will have to wear cheerleading outfits (complete with skirts and pompoms) to the other team's entire next season of home games! Tara and her Roadrunners are determined not to give the Hornets the satisfaction. But winning is going to be an uphill battle for the girls, especially in a hockey-crazed town that cares more about the boys' Junior A team than anything else. So when the boys teams begin screaming for more ice-time, it's the girls teams that get relegated to the graveyard times at the local rinks—if they're lucky. 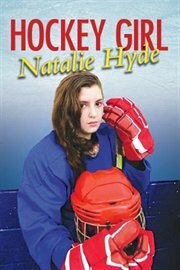 To make matters worse, Tara discovers that the one boy who seems sympathetic to their cause (and super-cute, to boot) is the son of the ice-rink manager and their most belligerent opponent. What the Roadrunners need is some divine intervention which comes in the shape of Sister Helen, a former women's ice hockey star and their new coach. Inspired to fight for their right to play, the girls launch a campaign to gain fair and equal ice time. Will the town rally behind the girls? And will the Roadrunners pull it together in time to finish ahead of the Hornets and save their dignity?